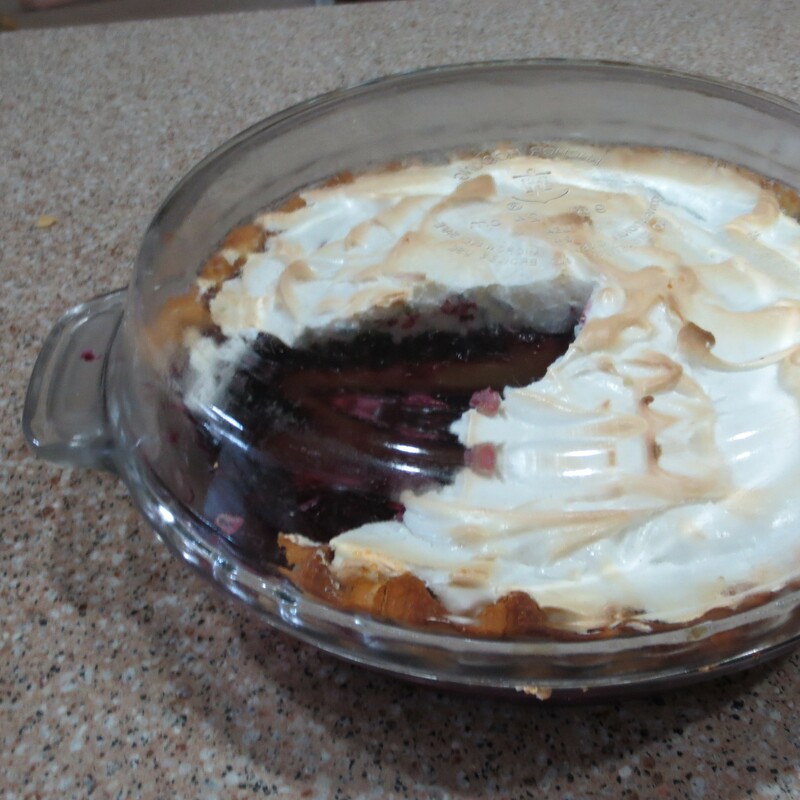 It’s always hard to cover a meringue pie without making a sticky mess and pulling the top off the pie. My solution is just to invert another pie plate on top. I like having duplicates of my bake ware anyway, so using my second pie plate as a top is the easiest way to keep that pie pretty. If the pan has handles one can put rubber bands on the handles and nothing will slip around, but I don’t usually find that necessary.